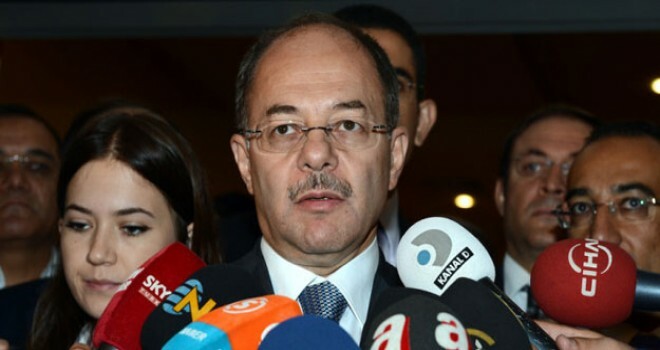 Turkey’s Health Ministry is working on a group of 3,000 people among its employees to be purged from the institution, Health Minister Recep Akdağ said during a press conference on Monday. Speaking to reporters in Ankara as part of Eid al-Adha celebrations, Akdağ underlined that more than 4,000 Health Ministry workers were suspended after a July 15 coup attempt over links to the Gülen movement, a civil society movement inspired by the views of US-based Turkish Islamic scholar Fethullah Gülen, who the Justice and Development Party (AKP) government and President Recep Tayyip Erdoğan accuse of masterminding the failed coup. According to Akdağ, investigations are ongoing into the 4,000 workers, and the group of 3,000 is still waiting to be investigated. “We knew that this work [purging Gülen sympathizers from the state] was very difficult as our president (Erdoğan) said. But we are convinced we must cleanse all members all terrorist organizations from the state and ministry,” he said. Despite continuous denials from the Gülen movement and Gülen himself, the AKP government and Erdoğan say the purges from state jobs will continue. More than 41,000 have been detained and over 22,000 arrested since the coup attempt. Arrestees included journalists, judges, prosecutors, police and military officers, academics, businessmen, governors and even a comedian.